Heating and air conditioning are two major expenses for building management. To better control these costs and ensure heating,ventilation, and air conditioning (HVAC) are working effectively,owners are turning to building automation systems. These IoT-enabled HVAC systems can automatically switch equipment on and off at predefined times, monitor environmental conditions and send alerts when measurements exceed thresholds,and provide information on energy consumption. Our customer, a leading worldwide HVAC manufacturer, waslooking for a multi-connectivity gateway to supersede their legacy systems which employ different RF protocols such asBLE, WiFi, LoRA, and Zigbee. Wide temperature support was also required since the gateway was to be installed in a poorly ventilated location. UTX-3117 has Wind River Pulsar Linux OS integrated which offers highly robust system security. WindRiver Pulsar is a small, high performance, secure distribution designed to speed IoT project development. It is an ideal flexible solution for building smart HVAC applications. 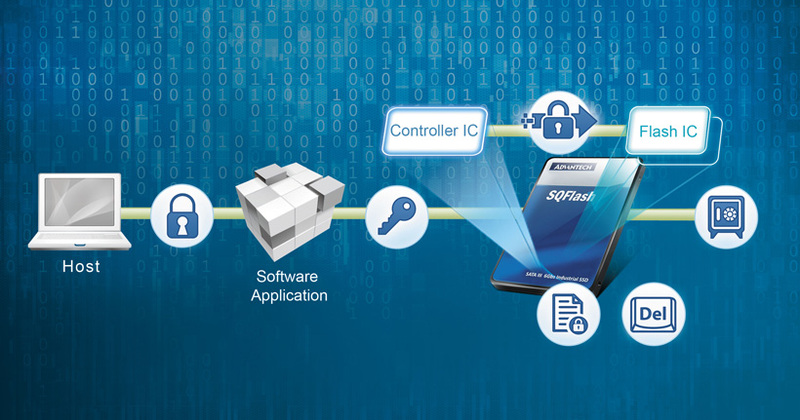 To meet customer requirements, Advantech selected UTX-3117with multiple connectivity, -20~60 °C wide temperature support,and software integration to aid HVAC application development. UTX-3117 is designed with 3 x RF module expansion slots and 5 antennas for receiving multiple protocol data from many sensors at the same time. With Intel’s latest Apollo Lake E3900 processor, UTX-3117 offers superb performance for building HVAC systems. It sends all building data to the cloud for analysis so users receive live information via a control panel or other portable device. Some HVAC machines can get very hot while working so UTX-3117 is designed with an optimized thermal solution to make the system sustain full workloads in up to 60°C critical environments. Wind River Pulsar OS is a real time OS in a small footprint design that supports real time monitoring. With a container based design, end-users can implement their program or device easily without modifying the kernel. 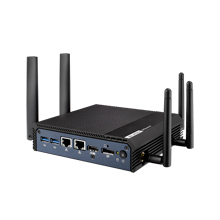 It also has a wide range of wireless peripheral connection support built in, which includes WiFi/BT/3G/4G/GPS and some key protocols specifically for IoT applications. It comes with 3~5 year long term support by WindRiver and offers a secure solution for protecting your HVAC system by implementing IMA support with an easy,secure upgrade path by connecting to a trusted repository hosted by WindRiver. 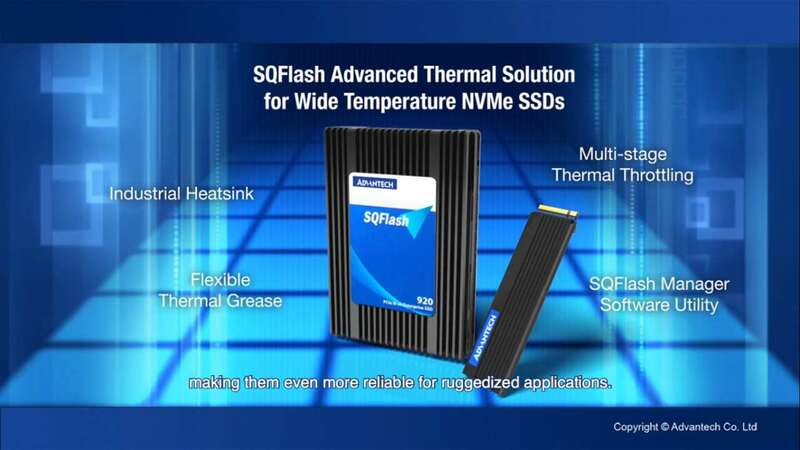 For more information, contact your local Advantech sales office or visit the website. Rich I/O with 2 Giga LAN, 2 USB 3.0 ports, 1 x RS-232 & 1 x RS422/RS485 ports for data communication. Palm-size, with extended temperature support under-20 ~ 60 °C. 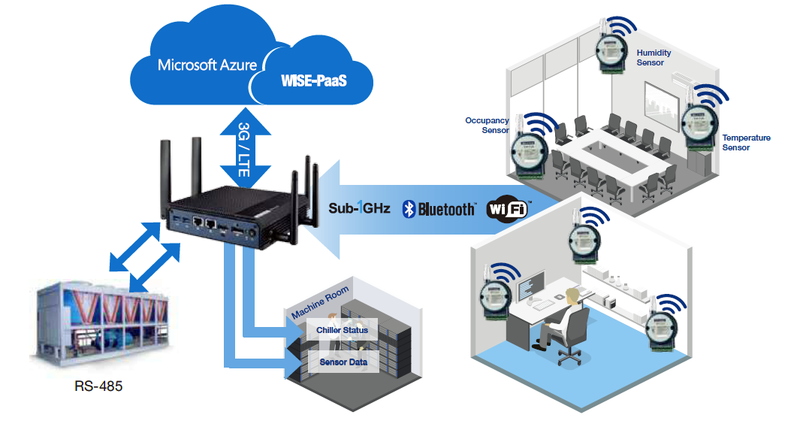 Supports Win10 Enterprise, and Advantech Pulsar OS implement with WISE-PaaS. Certificated with AWS Greengrass & Microsoft Azure IoT Edge.